The expansive 50th floor at 1251 Avenue of the Americas towers above the City with incredible light and views in all directions. No expense was spared in the build-out of this one-of-a-kind, 44k square foot space. The floor may be delivered fully wired and furnished, requiring minimum upfront capital expense to the next occupant. 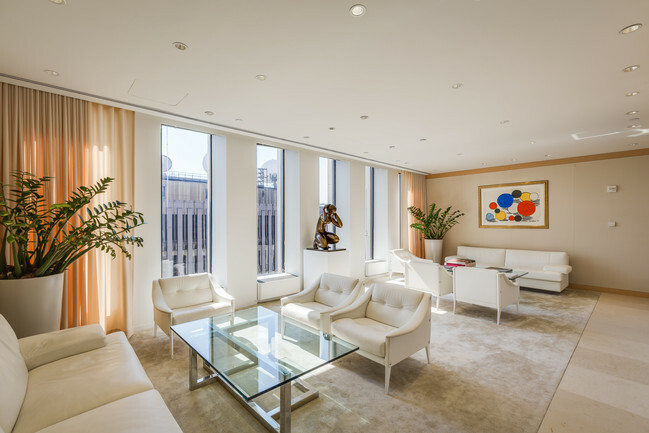 With Central Park views, underground access to the Rockefeller Center Concourse, and an exceptional tenant roster, any fund would be lucky to call this space home. To view this space, or any other, please contact the NYC Fund Space team at info@nycfundspaces.com or 212.716.3780.